I started my first novel sometime in mid-2000, on a Metro-North commuter train traveling into Manhattan, writing on my then new Mac Powerbook. The title stuck—The Third Revolution—but the rest of the work I'd completed was tossed out in early 2002 when I started the project anew. I completed that manuscript, found and worked with a professional editor, and, after spending about a year learning how not to attract a literary agent, I eventually took a chance on the then cutting edge publish-on-demand technology and got the book "out there." The first paperback edition of The Third Revolution appeared on Amazon (as well as in several local bricks-and mortar bookstores) in May of 2004. I have to admit, I liked the feeling. Better than a decade later, the Mac has finally been retired (recently replaced by a new Dell Inspiron 7000 running a hot i7 processor) and I've somehow managed to write and publish six novels (The Third Revolution, Middle America, Little Birdies!, The Last Bartender, The Cenacle Scroll and Aqua Vitae). A seventh book, tentatively titled Free State, is presently in the works. In my pre-MBA days, a time when I had ready access to fast motorcycles and sympathetic women, I worked as a bartender at the historic Peter Luger Steakhouse in Williamsburg, Brooklyn, the Grand Hyatt Hotel in Manhattan, the El Morocco Club (Elmer's) on Second Avenue (circa 1981, when it was operating as a steakhouse), the infamous Diamond's Whisky Parlor in Flushing and poured shots-and-beers (and kept my head down) through several stabbings and the occasional gunfire at Pirate's Pub in Kew Gardens, Queens. 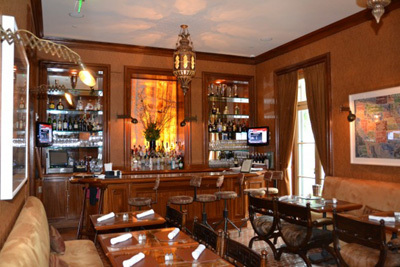 I re-entered the industry in 2011, working the bar at Frogs End Tavern within the elegant Glenmere Mansion, an exclusive eighteen-room boutique hotel in Chester, NY, and from behind the stick at the President's Bar at the venerable Powelton Country Club in Newburgh, NY. 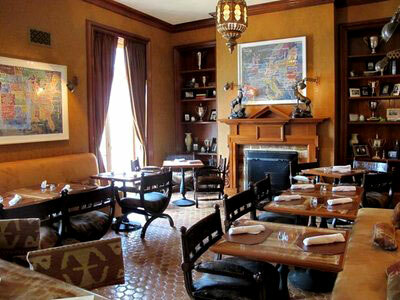 For most of 2012 I was at The Cellar Door Bistro in Ridgefield, CT. and at the MTK Tavern in Mount Kisco, NY. 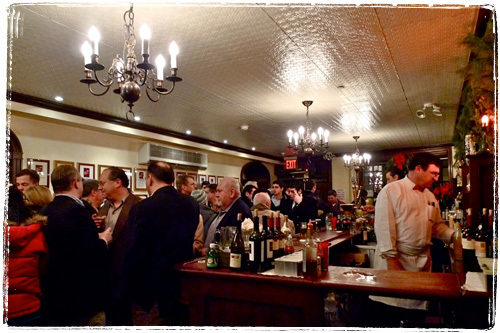 I was last found plying my trade at the King Street Restaurant & Bar in Chappaqua, NY, which, unfortunately, closed its doors during the summer of 2014. During that time I also worked the busy Sunday brunch shift at the Bissell House in Ridgefield, CT (apparently now the Dog and Pony, under the same management), and picked up a few lunch shifts at the still popular Hideaway, also in Ridgefield. The motorcycles and women have yet to reemerge, but I remain ever hopeful in that regard. My old office at Peter Luger Steak House in Brooklyn, NY. The only place I ever worked where they had the draft beer taps cleaned out every month. Bar guests included Donald Trump, Mayor Koch, Bill Murray, Tony Bennett, Meryl Streep, and Steve Rubell (of Studio 54 fame). Wolfie (Wolfgang Zwiener) was the headwaiter at the time; I understand he's now quite the restaurateur, with a string of critically acclaimed steakhouses located in Manhattan, Beverly Hills and Waikiki. I'm not surprised; Wolfie used to cook a mean pot of linguine & meat sauce for the staff on Saturday nights. 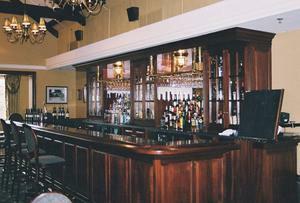 Here's a shot of the President's Bar at the Powelton Country Club. My very own concoction - the Kentucky Cobbler - is being featured on Glenmere's autumn cocktail menu. Here's the old El Morocco Club on East 54th Street, NYC. 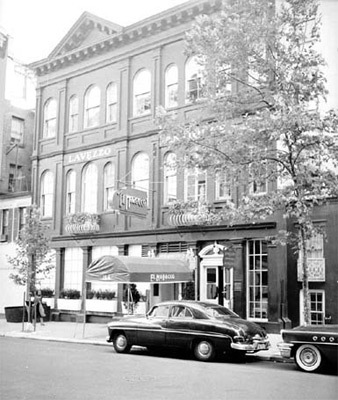 In 1981 they opened an attached steakhouse around the corner on Second Avenue called Elmer's. I picked up a few shifts there while I was working at the classy but always empty Trumpet's Bar at the Grand Hyatt Hotel at Grand Central Station. Rocky Graziano used to work the door and Frank Perdue (Dewar's on the rocks) was a regular. 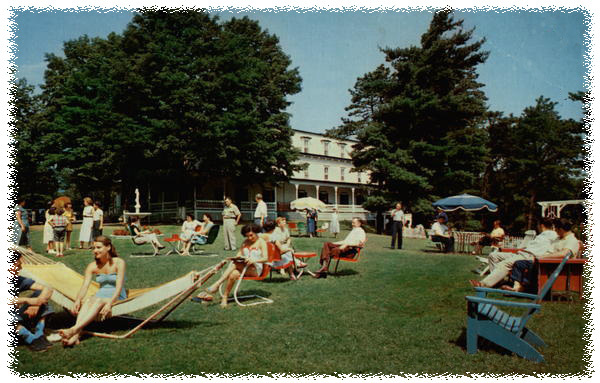 This is the long-gone Dellwood Resort, formally of Purling, NY. I worked up there for a couple of weeks in the late 70s. It served as the model for "The Brookwood" in The Last Bartender. 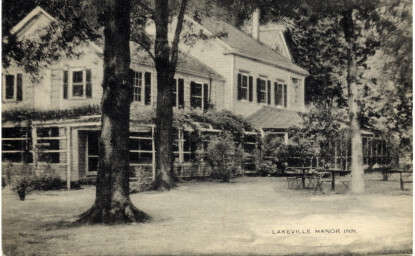 And here's the wildly popular (in its day) Lakeville Manor, right off the Long Island Expressway in Great Neck, LI. I don't think I had a car back then; I used to ride my '72 Norton Commando to work, even in the winter. 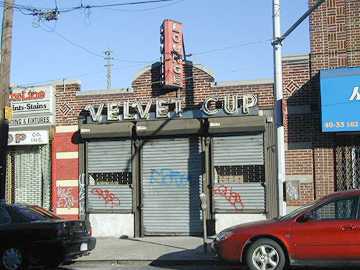 I worked there back in the days when 18 was the legal drinking age, and if you could lay face down on the floor without hanging on with both hands, you were good to drive. We used to really pack 'em in - I probably poured an easy 1,000/1,200 drinks on a busy weekend night.